Add a touch of tribal-inspired style to your ensembles with the Nouv-Elle tear drop stone necklace. Featuring a double strand cord with a scale-effect finish, this unique piece of jewellery is perfect for layering over plain tees and dresses for a contemporary look. 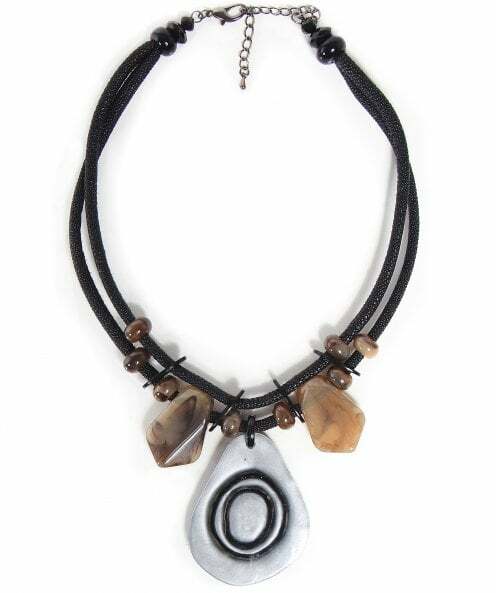 The necklace also features translucent beads and an oversized teardrop pendant for a distinctive aesthetic.